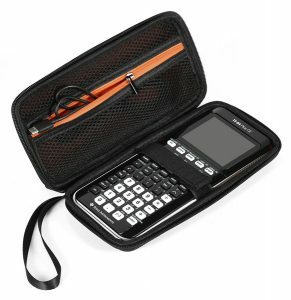 The TI-30XS MultiView scientific calculator is approved for use on SAT*, ACT*, and AP* exams. 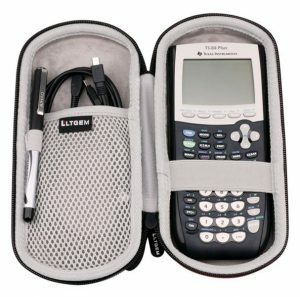 Get your teen ready for high-level math and science with a TI-30XS Multiview calculator. 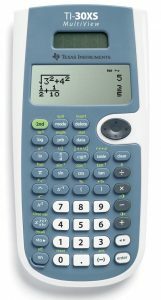 This Texas Instruments calculator is ideal for high school students for general math, algebra, statistics, geometry, chemistry and more. It shows 4 lines in the display for comparing complex calculations. It has functions for simplifying fractions step by step, converting decimals to fractions (and vice versa) and working with 1- and 2-variable statistics. This scientific calculator also lets you edit, cut and paste entries. Plus, it's approved for the SAT, ACT and AP exams. This scientific calculator is everything I expected it to be and more. I love all the different functions it's capable of doing. I love the fact that it can be ran by battery or solar. If I had to say something negative about the Texas Instruments® TI-30XS MultiView calculator it would have to be that if you didn't know how to use a scientific calculator previous to this one, it doesn't give you a very good understanding of how to use and work this calculator. Overall though, I would definitely recommend this calculator to a friend. I bought this calculator for my college math 1010 class which does not allow me to use a graphing calculator. 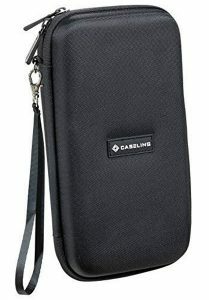 I use it almost everyday to help me with the basic math problems that I can do in my head. It is perfect for what I need and comes with plenty of instructions to help you learn all the different functions that it can do. One thing that is not my favorite thing is that the cover wiggles around a bit when snapped on the calculator. Wish it was a little bit sturdier. Would definitely recommend to anyone who doesn't need a graphing calculator but needs a easy to work scientific calculator. Texas Instruments - TI-30XS MultiView Calculator. This is my second purchase on this Texas Instruments - TI-30XS because my grandson lost his at his school, he used it a lot. He learned how to use it by his class instructor since his day one last Sept. I myself like it a lot because it has more features. The features have 4 display lines and math and science exploration for high school student. I am a nerd. I love my calculators, and seriously dislike using those cheap bulk-buy calculators. I already own this in the original blue, but I kept forgetting it for when I went in to work, so I looked to see how much a second one was. Imagine my surprise when I saw that these were nowhere near the cost of a TI-83+! I wish the cover was also lime green (it's the weird slate blue of the original), but other than that, it's a great calculator. I love the math print (?) display, which shows fractions as actually having numerators and denominators. I love that it is the same basic layout as a TI-83+. I love that it's solar-powered. It's also extremely powerful for the price. If you're on the fence, I'd like to point out that when adding up numbers, they STAY ON THE SCREEN. No more wondering "did I put that number in yet or not?" or "did I type that in correctly?" There is a bit of learning curve, especially if you're not used to TI calculators, but it's very worth it. Great scientific calculator. The TI-30XS Multiview calculator works great, has many functions and is super useful. Works like expected. Can be a bit tricky to start, but the learning curve is pretty easy. Some functions are a bit more complicated than they should be, but overall I'm happy with it. This calculator helped me pass my NY STATE TASC EXAM Many different formulas involved with calculator, such as, Distance, volume, Mid Point and Slope. 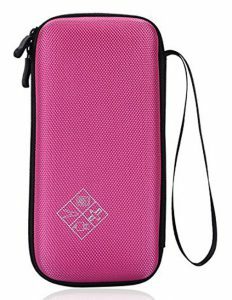 These are THE BEST calculator to buy for a medium level (middle school through algebra) math student. I teach secondary and post secondary students and this is the calculator I tell them all to buy. It is better than the TI-30XSII because you can see what you had previously input. That is really the main difference between the two calculators and this one allows you to see what you put in before. It's superior in my opinion.